When is a CEO Not a CEO? The scrutiny of Mitt Romney’s Bain Capital years devolved some weeks ago into a game of he said-he produced a document-he said. (It’s not a well-known game.) Today, the Boston Globe eats some of David Corn’s dust and points out that several documents give him ownership of BC long after February 1999, when he left it to run the Salt Lake City Olympics. Massachusetts financial disclosure form Romney filed in 2003 states that he still owned 100 percent of Bain Capital in 2002. And Romney’s state financial disclosure forms indicate he earned at least $100,000 as a Bain “executive” in 2001 and 2002, separate from investment earnings. The second point might comport with what Romney’s said all along. When he left BC, he did not pack up for good. He took a leave of absence. 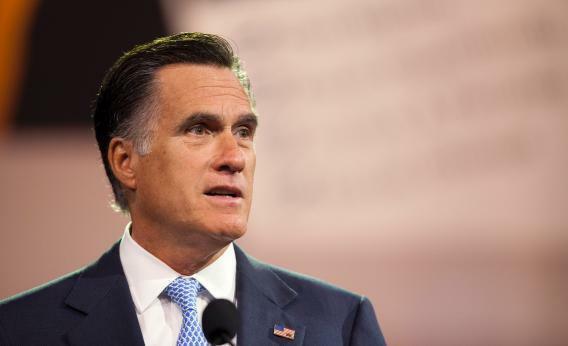 “Romney left the firm, retaining a financial interest in it,” wrote Michael Kranish and Scott Helman in The Real Romney, “and Bain Capital continued to thrive.” Instead of returning to BC after the Olympics, Romney ran for governor of Massachusetts. And then he quit. So, who cares? The Romney campaign cares. Ever since the Bain attack resurfaced, it has been pointing to former BC executives and Fact Check websites that claimed Romney had no responsibility for what happened after February 1999. In June, the Romney campaign sent reporters a link to this FactCheck.org that knocked down Obama attacks by pointing out their dates. One fiendish BC move that made it into an Obama ad happened on “Aug. 5, 1999; Romney became president of the Olympic Committee in February of that year.” Etc. How does the campaign explain the old relationship? They point us to Fortune magazine, the receipient of freshly leaked June 2000/September 2000 BC documents. [It] lists 18 managers of the private equity fund. Mitt Romney is not among them. Same goes for an affiliated co-investment fund, whose private placement memorandum is dated September 2000. Then there is Bain Capital Venture Fund – the firm’s first dedicated venture capital effort – whose private placement memorandum is dated January 2001. Romney also isn’t listed among its “key investment professionals,” or as part of its day-to-day operations or investment committee. Sure, Romney’s name appeared on Bain’s SEC filings. But he didn’t make Bain’s decisions. He only benefited financially from them. Now you see why the Obama campaign thinks it can drag this out over weeks and months. Explaining why Romney himself wasn’t really CEO during his leave of absence (when he was trying to save the American Olympics, for Pete’s sake!) involves explaining some complicated corporation-fu. In the meantime, the Obama campaign can use “outsource” in every other graf of its press releases, and ignore the Fact-Check squads.